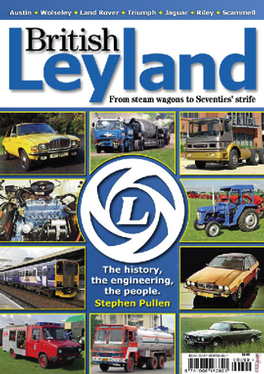 British Leyland played a part in so many people's lives in this country for so long- and I don't just mean those who worked there. I remember as a kid travelling to Skegness for my single days holiday each year in my Dad's Austin 1100- and who cared that we had to stop and let it cool down half way there, it was all part of the adventure!When I left school I became a lorry mechanic on various BL group lorries, particularly the T45 'Roadtrain.' In addition over the years I've owned loads of BL vehicles, as did my dad before me.Writing this publication in such a small number of pages has been like trying to put an elephant into a carrier bag- there's bound to be loads left out. Be the first person to tell us what you think about British Leyland and you'll save £2.50 on your next purchase!